Defeat a colorful cast of opponents on your way to the Bingo championships. "Saints and Sinners Bingo has a very cool story line and many different bingo patterns. All in all, it's a great game." In Saints and Sinners Bingo, you play in 20 different cities across the country, competing alongside a colorful cast of opponents as you make your way to the International Bingo Championships. Collect good luck charms along the way to give yourself strategic moves that improve your chances of winning. 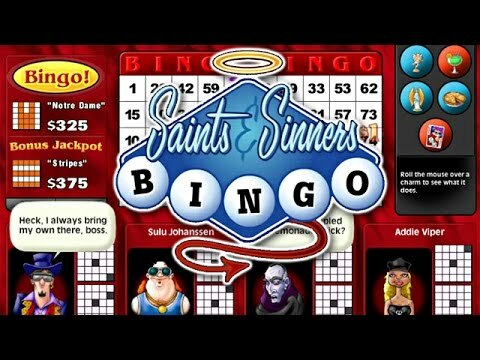 With three game modes and over 100 Bingo patterns, Saints and Sinners will have you in Bingo heaven.